On May the first of this year, we all sat at King Arthur's round table having an interesting interview of Ed Hewitt and Charlie Abramo. 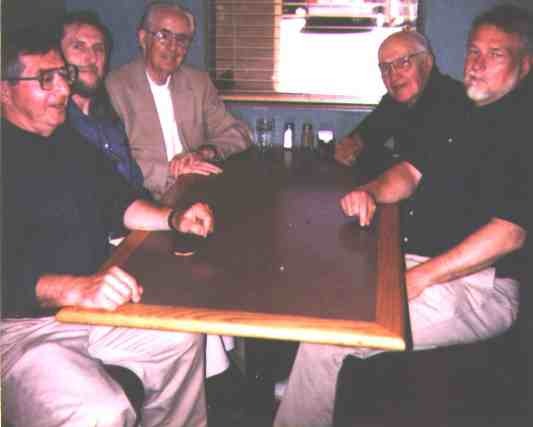 Going from right to left is Robert Wagoner, Charlie Abramo, Ed Hewitt, Dave Wagoner, and yours truly, me. 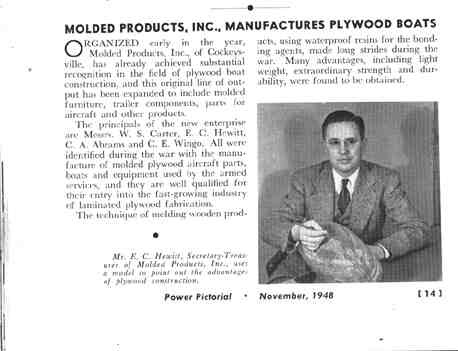 Later that day, we video taped these distinguished gentlemen at Charlie's home in Timonium, Maryland, while they reminisced about the history of their company. These very interesting videos, especially for all of us history buffs, will be available at a later date. I'll keep you informed as to when they will become available. Signing off, this is not Hugh Downs -- or Babwa Walters. Richard, Of the two distinguished young gentlemen in this picture, the one on the right is Ed Hewitt, and the other, shorter hombre is Charlie Abramo. These gentlemen are two of the original three co-founders of the famous Whirlwind Boat Company of Cockeysville, Maryland. You would never know to look at them and talk with them that Ed is 84 years young and Charlie is 85 years young. I should look so good at 30! 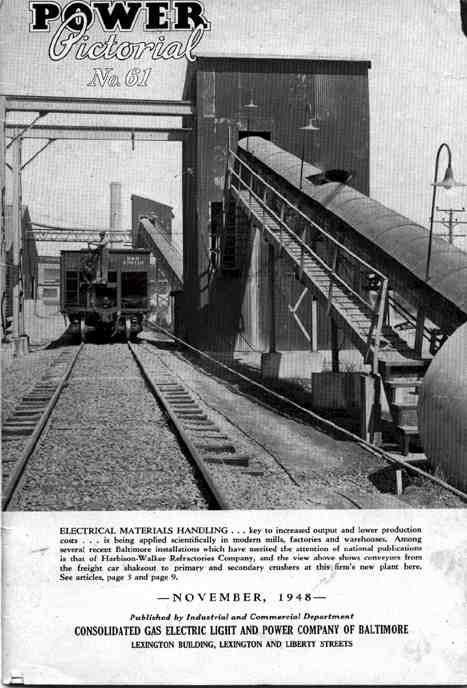 Mr. Curator, The attached article is from the November 1948 edition of Power Pictorial, published by the Consolidated Gas Electric Light and Power Company of Baltimore. 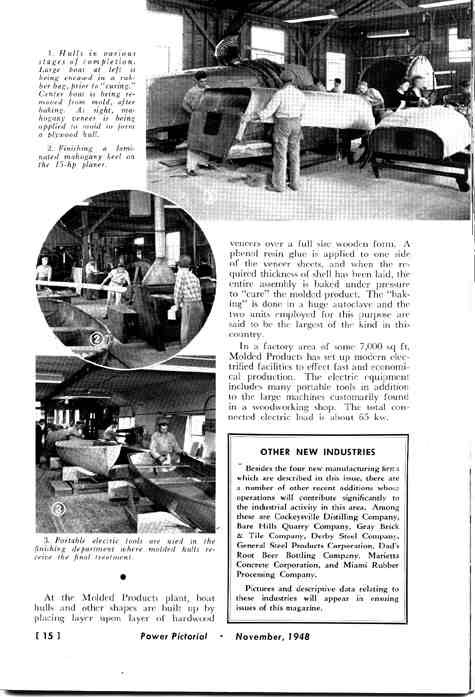 The article contains a couple of inaccuracies, the most obvious of which being references throughout to Charlie Abramo as C. A. Abrams, and the other being the mention of W. S. Carter as a principal. Mr. Carter was never a principle, although he was employed for a short time as a sales representative. (Even back then, what the world needed more of was love, proofreading and erasers.) With these two exceptions, the article seems to be historically accurate.